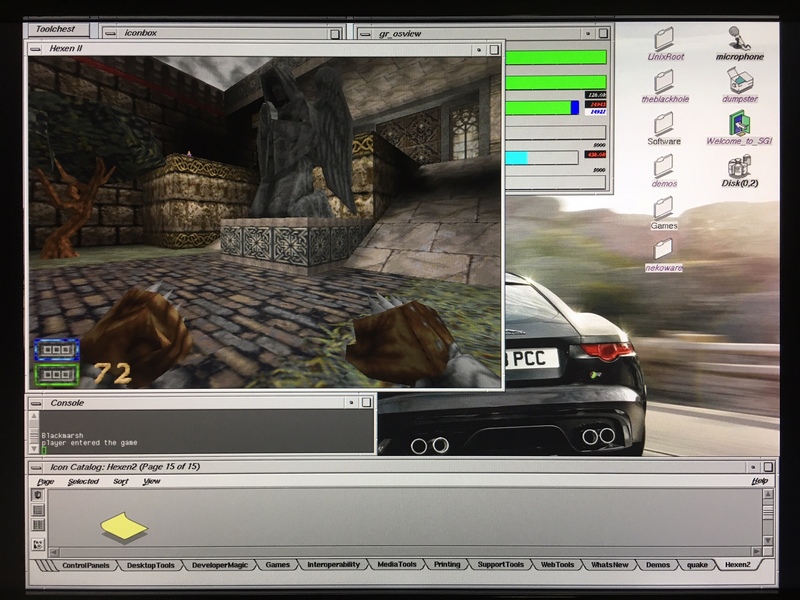 I've got Hexen II up and running on my Octane! It runs very well in a full screen mode of 1280x1024! I've just taken a picture of it running in a windowed mode, to show IRIX in the background. Ive also got it up and running in SoftWindows95, but it runs extremely slowly and without OpenGL. RE: Hexen II up and running natively in IRIX! Ohh! Nice! How'd you pull that off? (04-13-2019, 10:43 PM)praetor Wrote: Ohh! Nice! How'd you pull that off? The IRIX install file's in Nekoware Beta. I downloaded the Hexen II demo and installed it in SoftWindows95 and then copied the installed folder over to IRIX. 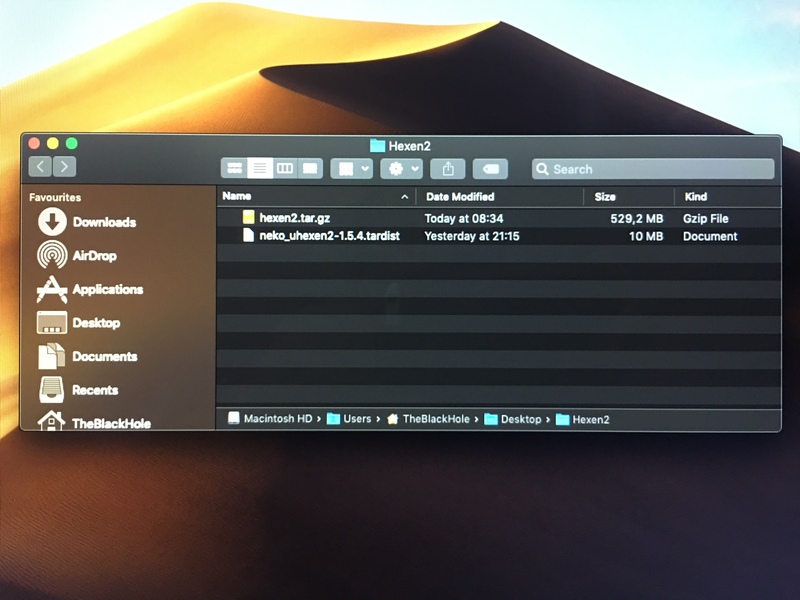 I then copied the Hexen II folder into the games folder in nekoware and then copied the h2launcher and GLhexen2 files from the bin folder into the hexen II folder in games. You need to run GLhexen2 first, which doesn't work and then only can you use the h2launther to launch the game, this is a necessary step. Thanks to eudatux23, I now have the full version with expansions up and running! can you tar that up and post it ? I've tarred up the Hexen2 directory, which you can untar on your SGI and copy to the games folder within the nekoware folder. You will need to install "neko_uhexen2-1.5.4.tardist" and copy "h2launcher and glhexen2" to the ween folder. After that, please make sure that the files ending with .PAK in the data1 subfolder get lowercase names. I think it should run well on your O2! MIDI_DRV: disabled at compile time. have you guys run into this?